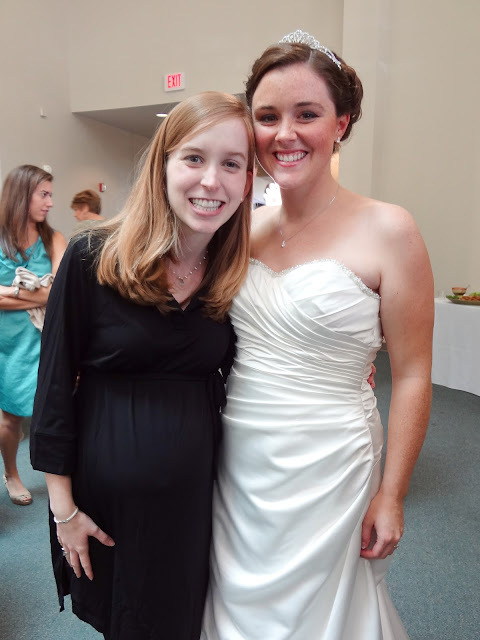 This past weekend my friend Emma got married. Emma and I were close in elementary and middle school, and have maintained contact throughout different high schools, colleges, and moves. 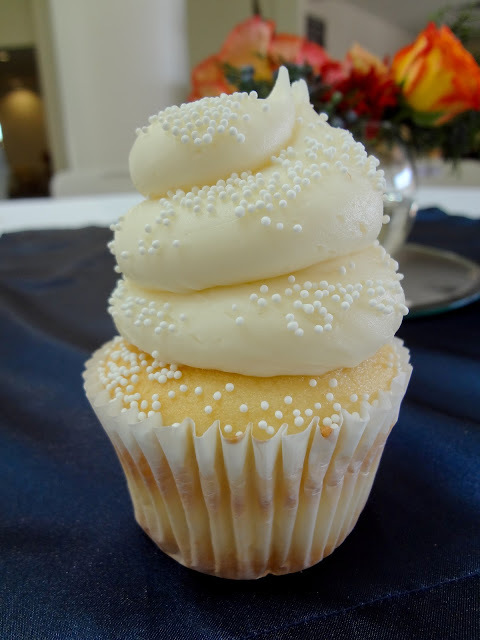 Emma had a cupcake tower at her reception, possibly the tallest cupcake tower I have ever seen and the tallest icing towers on each cupcake. They were so yummy! Love me a wedding cupcakes tower! Me and Hannah, another friend I've had since elementary days. She's a sweetheart! 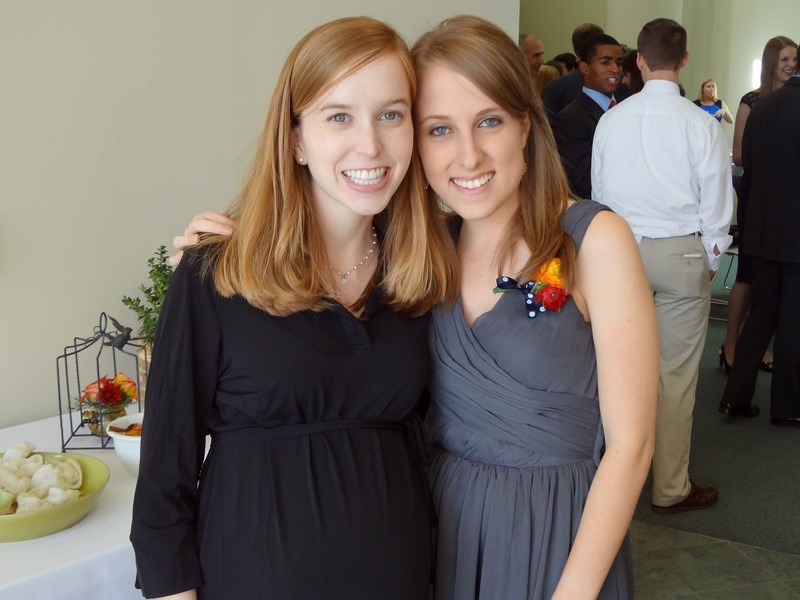 And I've gotten asked several times if we're related, which I consider a very high compliment. I liked the subtle country inspired reception decor. Who doesn't love mason jars at a wedding? 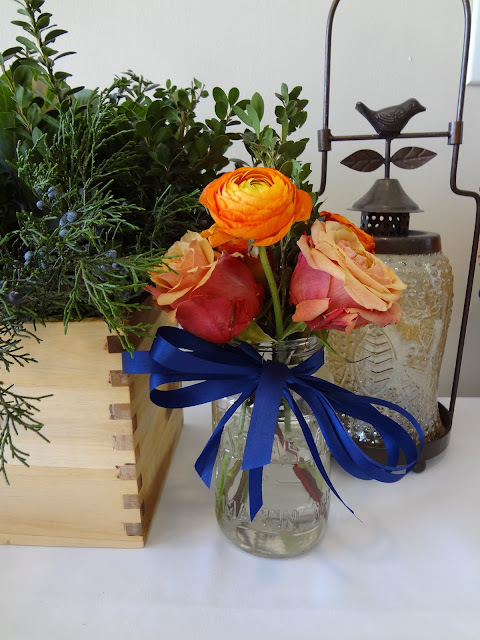 Her wedding colors were navy blue and fall colored flowers for bouquets and centerpieces- so pretty! There she is, the beautiful bride! 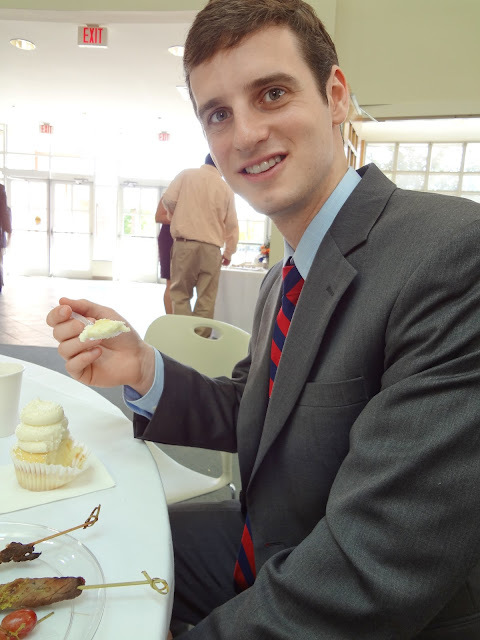 Enjoying a wedding cupcake. They had a 1pm ceremony with heavy h'ordeves for the reception. It was a nice break from the traditional sit down meals at weddings because we felt more able to get up and mingle with other wedding guests, rather than having to stay at our table for a plated meal. They had these absolutely yummy steak kabobs, I think the baby liked them because I must have eaten four. I was CRAVING them! What's one of your favorite things about weddings? I used to work in weddings and between my husbands friends and mine being in that "getting married" phase of life I think I've been to more weddings in the last few years than I could count! Of course, the wedding decor is beautiful to see, and being a foodie I'm always eager to try the eats. But I'd have to say my favorite thing about weddings is the ceremony and seeing how the couple's relationship comes through in different elements of the ceremony such as the vows they choose, or family photos displayed.